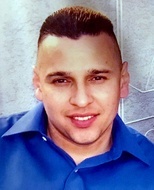 Do you have information to share about the life of Javier Francisco Parera? The Homicide Report needs your help. E-mail us at homicidereport@latimes.com. He was a stand up guy and also my friend. Liked to make money until he lost his life to gang violence. May Chucky rest in peace! — Jose Avina "El Grenas" March 11, 2018 at 1:06 p.m. I will miss you Upset very much so. I feel at peace within because I was able to see you one more time and with tears in my eyes and pain in my heart I was able to say good bye. Forever child hood friends. — Susan Ibarra Jan. 25, 2018 at 7:02 p.m.
Rest in Peace Chucks... I'll take care of your momma. — FloCheeLoko Dec. 31, 2017 at 8:50 p.m.